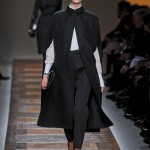 The revival of capes and cloaks took place a few years ago, but this fall winter 2012 season they are promised to become the real trend. 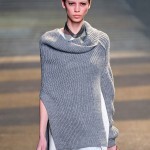 The high end designers included them in their latest collections starting from the sophisticated to the traditional ones. 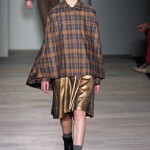 They could be associated with futurism, comic-strip superheroes or even with Drakula, which the innovative designers brought into the everyday women’s wardrobes. 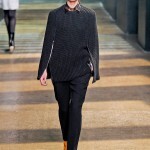 The lack of distinct silhouettes in this fall winter 2012 trend is compensated with the original detailing and interesting tailoring. 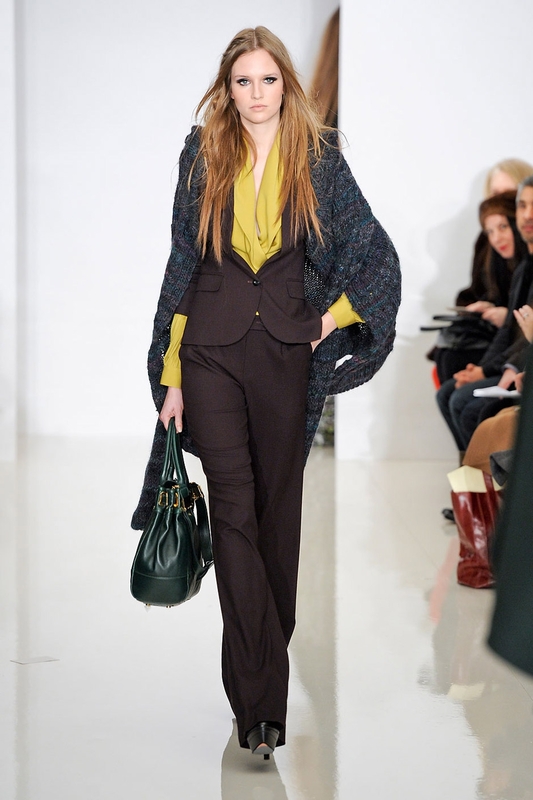 Capes are the outerwear garments that carry the functions of the coat with the slits for the arms instead of sleeves. 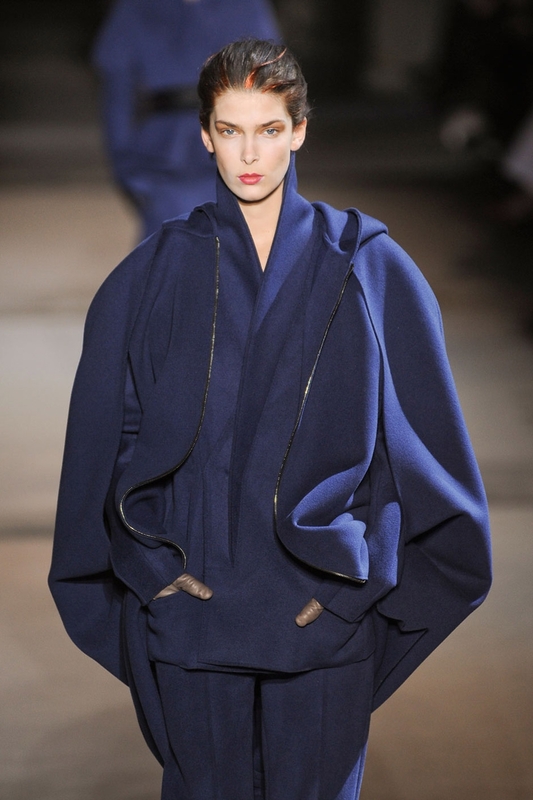 The silhouettes of the capes give your shoulders the lean look and add the refined finish to the outfit just like the ones from Marni and Temperley London fall winter 2012 collections. 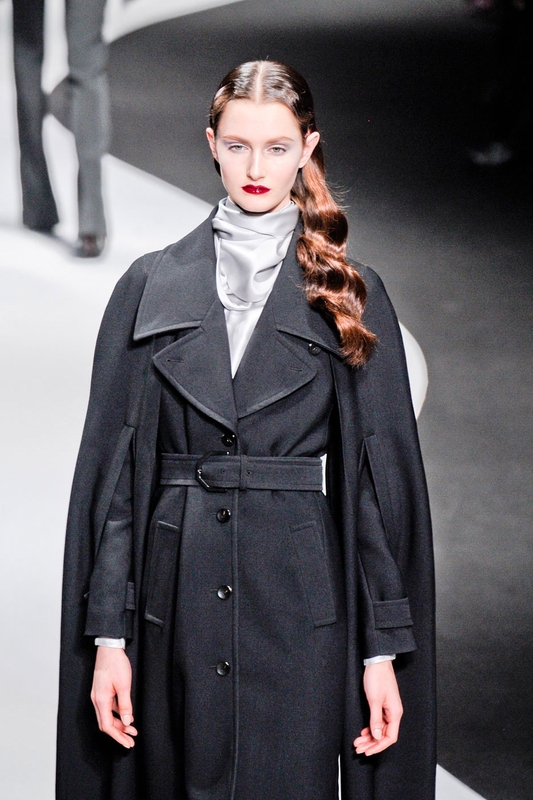 They fit well at the waist area what make them look like trench coats, but owing to the absence of sleeves and a loose tail it obtained the cape silhouette. 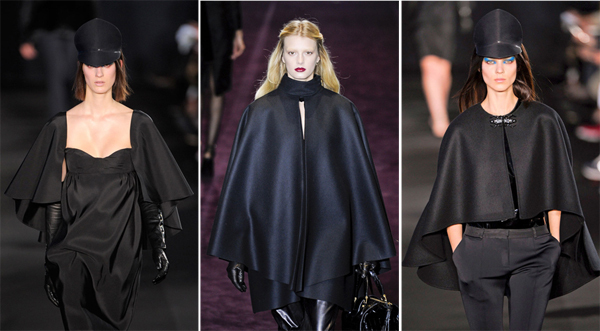 Yves Saint Laurent and Vera Wang fashion brands made an accent on the garments that are worn under the cape. 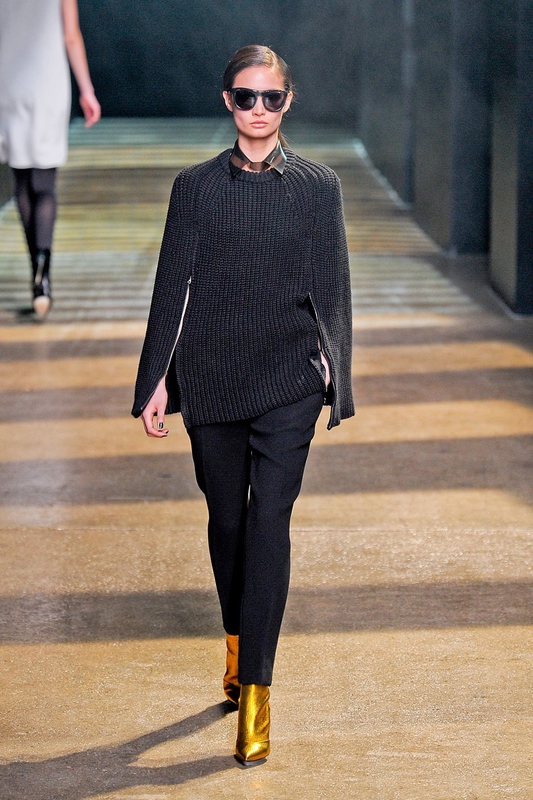 YSL went for the hourglass shape with a belt under the cape made from wool, leather and fur. 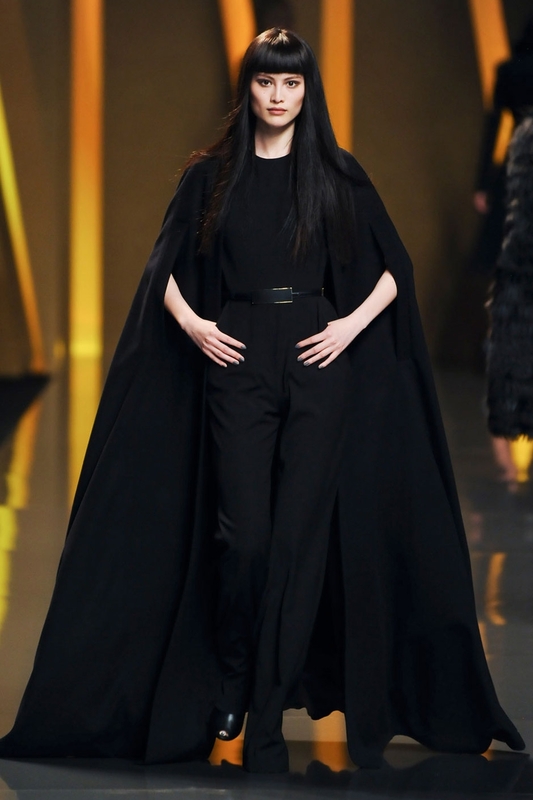 Capes are intended for women that are not afraid to demonstrate their natural body curves. 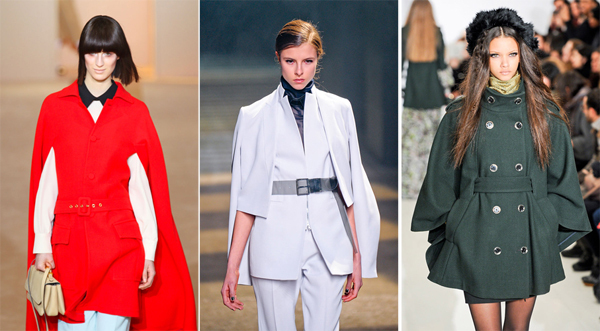 When picking the perfect cape, look for the silhouettes that suit your body type and have the stylish details like buttons, belts and zippers. 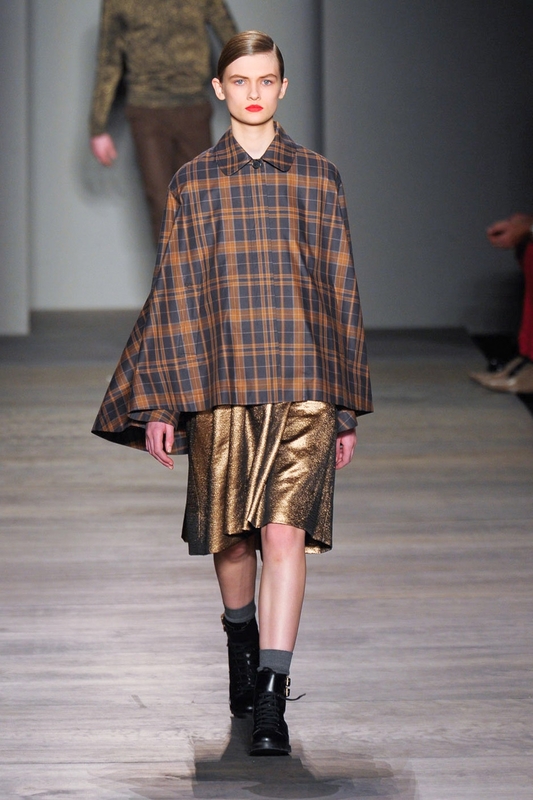 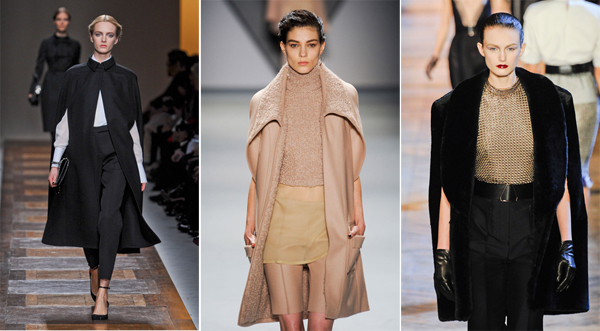 If you want to create the trendy androgynous look, go for the belted cape. 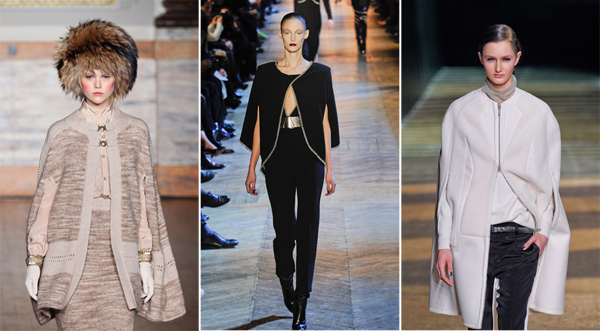 Phillip Lim and Viktor and Rolf made up the stylish ensembles with the pantsuit belted capes. 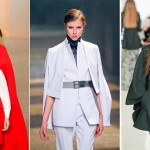 The nice thing about the belted capes: they could be worn the three ways- as the coat and a blanketed cape without the belt and as a belted cape with medium-sized or large belt. 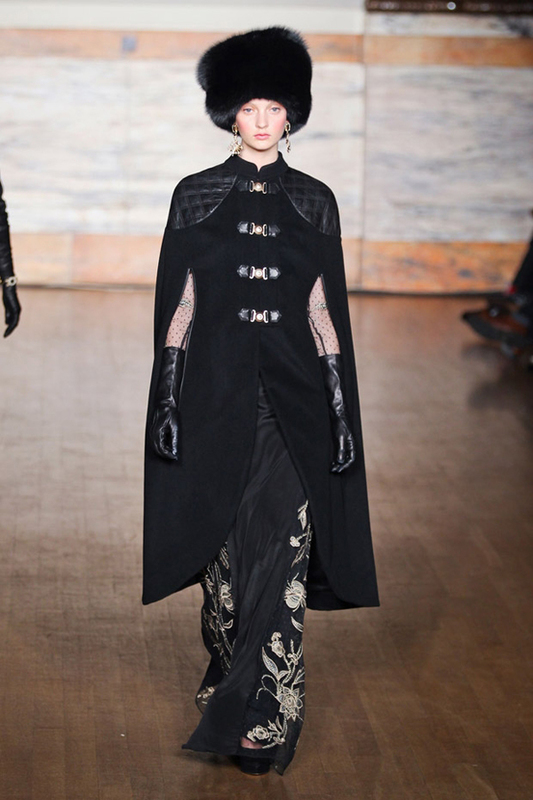 Cloaks are the transformation of the capes that have the longer silhouettes and the Gothic feel. 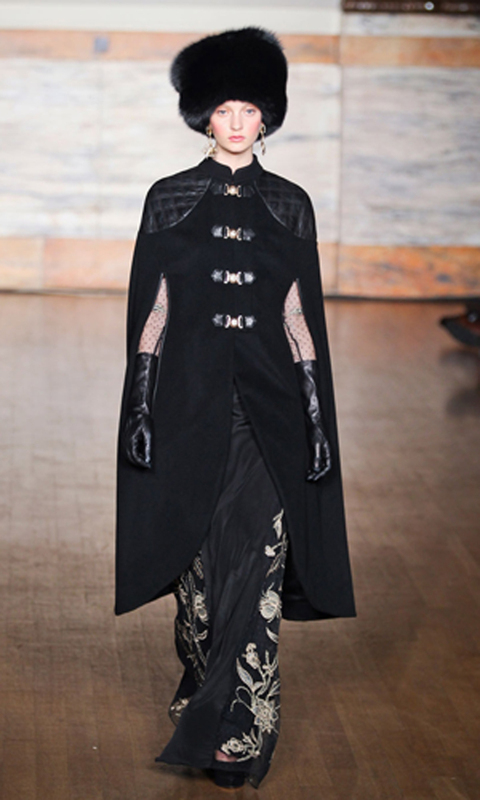 In their fall winter 2012 collections upscale fashion brands like Elie Saab, Valentino and Gucci included this Gothic trend. 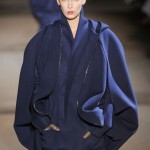 In case you wouldn’t mind looking like a fairytale character, then go ahead and try on this specific garment. 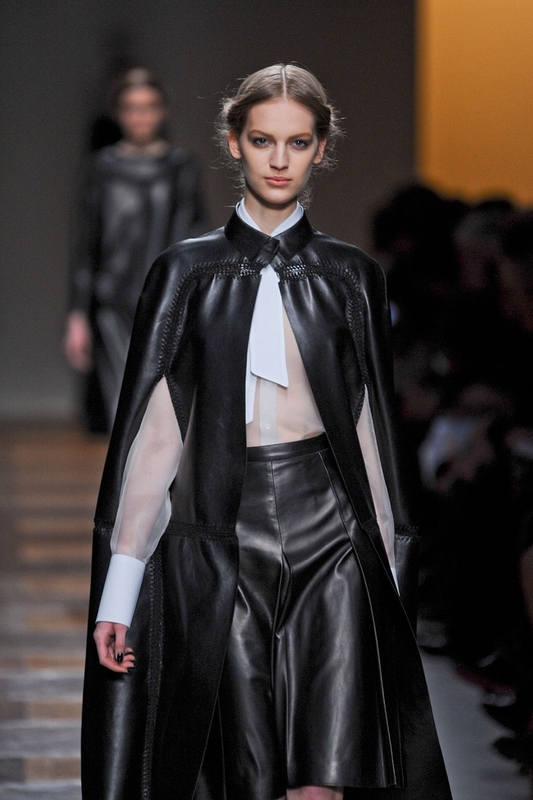 Just make sure you wear the proper garments under the cloak: they best way is teaming it with the leather pants and knee-high boots. 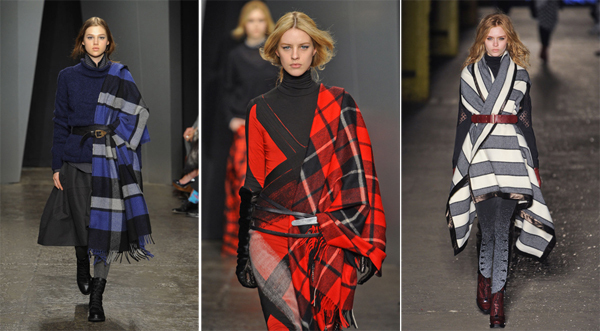 You have probably already thrown over your shoulders the plaid shawl or blanket in order to get warm in the cold weather. 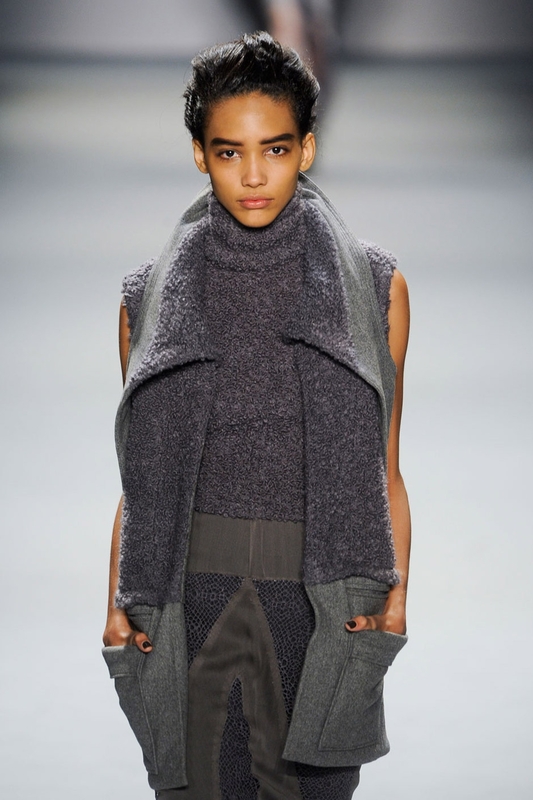 Well, this season the leading fashion houses such as Mulberry, Donna Karan and Rachel Zoe offer to wear them as the outerwear garments. 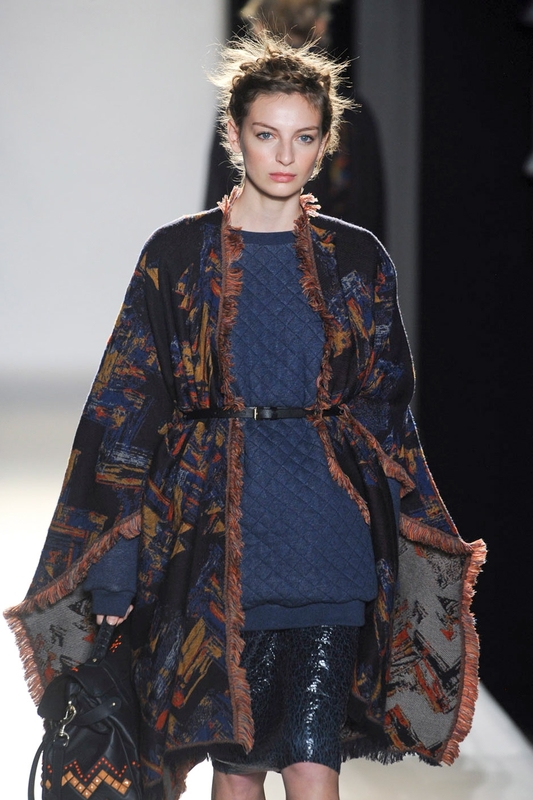 The blanket cape looks like the converted version of the shawl or wrap fastened with the belt on the waist. 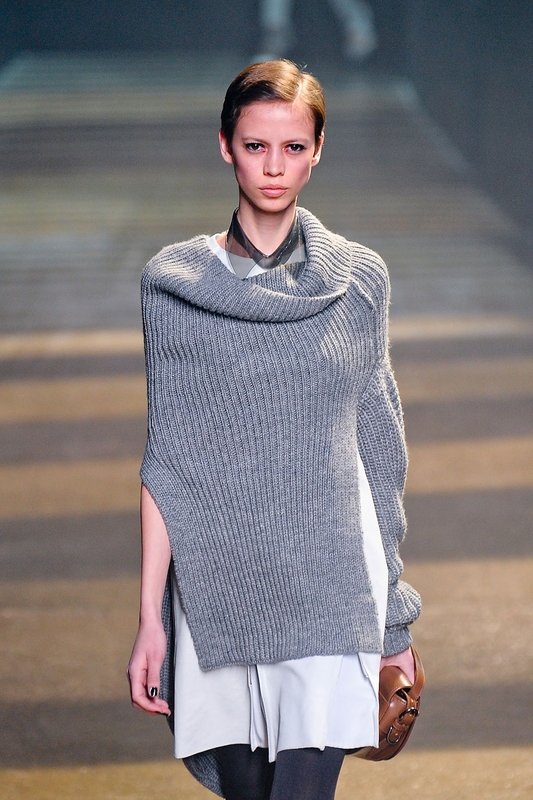 If you don’t want to cover your entire body with the full-length cape, then opt for the capelet that covers only the shoulders area. 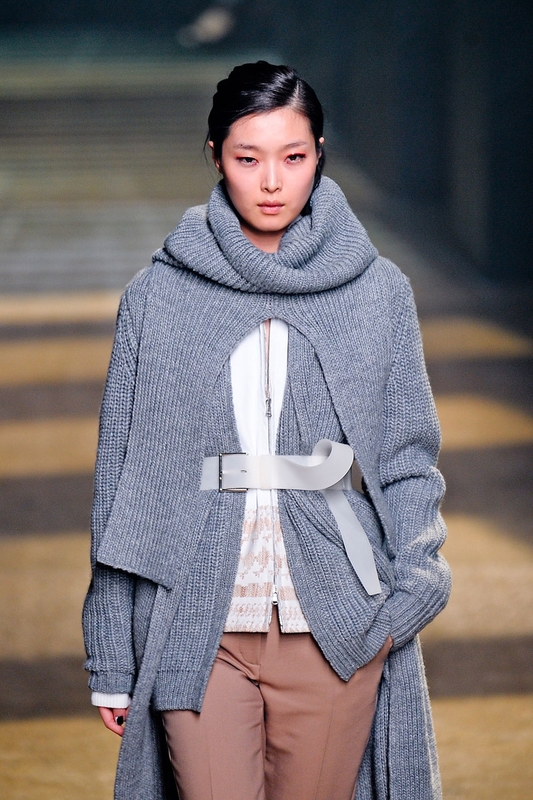 For instance, Prabal Gurung and Marc Jacobs capelets from the fall winter 2012 collections. 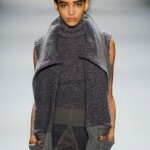 They look classy and elegant owing to the refined tailoring and minimal use of detailing.